Getting out of the office can really challenge your assumptions. Nicola Hughes, from the Institute for Government, spoke to two civil servants who have been learning how important it is to do that. Cat Drew and Pat Russell are two civil servants who took part in a new Big Lottery Fund and Institute for Government programme, 'Connecting Policy with Practice: People Powered Change'. It aimed to trial a new model of open policy making and encourage interchange between the civil service and other sectors. The programme brought together Whitehall policy makers and voluntary sector practitioners to participate in a series of workshops, events, research projects and exchanges. They focused on long-term policy problems, particularly youth unemployment and supporting people with multiple and complex needs. Here, Pat and Cat reflect on what they learned and how they are using those insights to embed more open approaches to policy making in their departments. Q. Why did you get involved in the programme and what did you do on it? Cat Drew, Head of the Police IT Policy Team, Home Office: I had been promoting open policy making within my department and wanted to develop that. During the programme I found practical ideas about how to engage and met some inspiring practitioners and civil servants. We were ‘partnered up’ with a voluntary sector practitioner to explore different aspects of policy making over a period of about six months. My partner was Toni Warner from SHP, an organisation based in Islington that helps people who are homeless or vulnerable. We looked at how the voluntary sector and local services could ‘donate’ data to fill evidence gaps where national data is lacking or to build up a more comprehensive explanation of why things are happening. Some of the challenges we encountered related to the greater value decision makers tend to give to quantitative data (statistics) over more qualitative data (observations). Pat Russell, Deputy Director for Social Justice, the Department for Work and Pensions (DWP): I was keen to look at things differently and share ideas with others. With my partner Andy Crossland, Chief Executive at the Humber Learning Consortium, I chose to examine collaboration and partnership. Why? Well, partly because I have always found that things work better if people work together. And partly because it goes to the heart of my day job, which is leading the Government’s Social Justice Strategy. Andy and I spoke to lots of different organisations to understand what worked and what didn’t. He was developing a major partnership to support young people in the Humber region who are out of work or training, part of the Big Lottery Fund’s major investment to support young unemployed people. The opportunity to share ideas about collaboration with others generated some animated discussion. Many of us participating in the programme had found that contracting and funding regimes, especially in a world of constrained resources, can make it harder for delivery organisations to work collaboratively as competition for scarce resources increases. 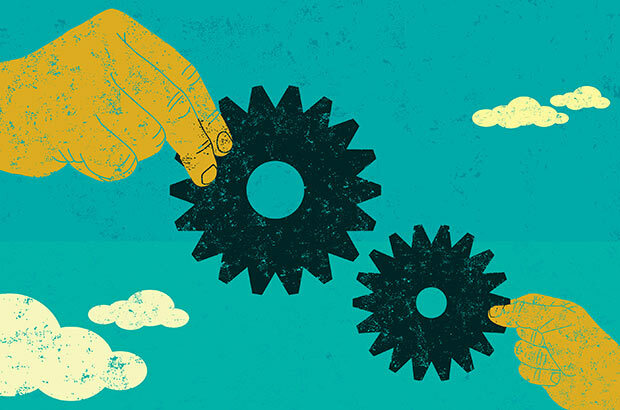 But imaginative schemes – such as DWP’s Innovation Fund which supports ten Social Impact Bond projects – have seen entirely new collaborative partnerships emerge. Q. The programme involved working with frontline practitioners. Did that change the way you think about policy at all? Cat Drew: Meeting practitioners from a wider variety of backgrounds than I would do in my day job was valuable. Two things became clear from our group discussions and from visiting projects on the ground. First, because of their direct contact with public service users, frontline practitioners have a better understanding of the totality of people’s combined needs, for example healthcare needs, their housing situation and employment prospects. Second was how confusing Government can be from the outside. Our departmental structures do not reflect the way people order their lives, as the Government Digital Service redesign for GOV.UK has recognised. When customers go to the new site they find information relevant to their own lives (driving, employment, benefits) rather than having to work through departmental structures. But siloed ways of working are evident in some frontline services: SHP were working with people who got sent from one statutory service to another – from drug treatment centres to the housing office – when their problems were much more personal, overlapping and connected. Some programmes like the Troubled Families programme take a ‘whole person’ approach that starts with the needs of the family and does whatever it takes to help them. But we can all do better to work together on cross-departmental objectives, to design services around the user rather than our departmental boundaries and to make these processes visible to practitioners so they know whom to contact. The processes we follow to develop and agree policy are also opaque to outsiders and I think that some of the voluntary sector participants benefitted from learning more about how we work in Whitehall. Pat Russell: I was struck again and again by the insights that people on the programme had got from talking directly with service users and seeing practice for themselves. Too often we – both policy makers and delivery organisations – create systems with hard edges: specific outcomes, tough thresholds. Central Government will create policy and funding that can only focus on outcome x or y. Delivery organisations, driven by their mission, by funding or governance, can feel limited in their scope. But people who need a lot of support, like the hardest to reach young people or adults facing multiple disadvantages, need something less hard edged. Their lives are often messy and complicated; they don’t fit easily into a single outcome. In my part of DWP, the Social Justice Team, we are looking at what we can do differently to help people who have spent many years entrenched in worklessness. So with my experience from the programme, I have worked with colleagues across both policy and operational parts of the department to see how we can understand the needs of people who use our services. We have run user insight events and have asked our local operational staff who will be doing the scoping work to design the offer in conjunction with local partners and claimants. It’s been an interesting – and at times challenging – process. Some people worry that we haven’t locked everything down first (“What do you mean, you can’t specify exactly what interventions will be done with what types of people?”). But I am determined to stick to this approach and my team have been really up for doing it too. Q. What did you find most interesting or surprising? Cat Drew: We learned about ways to involve users in policy development. For example we heard about how following the Christchurch earthquake the New Zealand health service designed new hospitals by making cardboard prototype wards that they invited patients to walk round and provide instant feedback on. We spoke about insight techniques like how the public design agency Participle gave people struggling with obesity problems cameras and asked them to keep a food diary. By doing so they discovered the disconnect between what people say at face value (“I eat well”) and how they really behave (“I end up eating badly after I’ve been on a night out”). I was also struck by examples of organisations that were co-producing services, like Haringey Council who engaged young people to help design and deliver local youth offending services. Pat Russell: I was struck time and again that no-one sets out to design bad policy or to deliver services badly but sometimes we end up doing just that. We talked often about collaboration being a good thing. But then one colleague explained how a Government department had specified in contract tender documents exactly what a collaboration needed to look like and what relationships had to be formed. All of which ended up destroying partnerships which had worked perfectly well until then. These are real unintended consequences. Q. How have you taken what you’ve learned on board? Cat Drew: It was clear from the programme that there are challenges facing civil servants and practitioners who advocate open policy making. The arguments for it are clear: working openly helps to produce more ideas, does not waste money providing services that users do not need, and allows us to test policy ideas with people who implement them. However, I’ve found that challenges of nervousness, lack of skills or contacts, and lack of time are still big issues. When the pressure is on to make a ministerial announcement the focus has to be on getting the job done. To address some of these challenges at the Home Office I helped design a policy school for 30 top policy makers, something a number of departments are doing. We learned from experts on behavioural economics, design and ethnography. Armed with these new skills, the policy makers went out to an immigration centre, a police station and a Regional Organised Crime Unit to work with practitioners to develop solutions to real-life issues. Not only did they come up with some great policy suggestions, but they enjoyed it and felt more confident about adopting an open policy approach. Last year’s cohort are going to design and run next year’s policy school. There was also lots of interest in next year’s ‘Connecting Policy with Practice’ programme when Nicola, Toni and I ran a session at the Home Office about our experiences and recommendations. Through our policy profession group, the summer school alumni and those who are attending open policy making sessions, we are building a group of policy makers who are interested in trying out a more open and design-led style of working. And the fact that the Home Office is facilitating the first project to have support from the Government’s new Policy Lab is evidence of that. The Lab makes space for policy makers and practitioners to see their problems differently and try out innovative, open and digital ways of solving them. They are helping us – and Surrey and Sussex police – design a better service for the public to report and help investigate crime. Pat Russell: I’m interested in how to create more personalised, integrated services and enable environments where collaboration and partnership can thrive – there is a challenge to create policies that join up at both departmental level and on the ground. People with complex needs often need to use several services at any one time and we should aim to create boundaries that are more permeable – making it easier for citizens to cross between different types of provision in ways that better meet their needs. For example, how can we ensure that someone who is trying to turn their life around by getting structured treatment for drug addiction isn’t hindered by inflexible requirements set to help them get a job that aren’t tailored to their needs? Are there opportunities to look at funding in new ways – through social investment, for example? Can we help local leaders identify opportunities to create more joined-up services and to actively support and encourage it from central Government? These are the challenges I’ve taken back to my day job and am working on with the team and with colleagues across Government. Over the course of the programme, the people who took part shared a number of insights about policy making, designing services for complex groups, different funding models and economic arguments, and encouraging greater partnership and collaboration. The lives of people who are vulnerable and excluded are messy and complicated. Practice suggests that services work best when they work collaboratively, deal with the ‘whole person’, and start with their needs. But policy too often operates in silos at both national and local levels. Long-term policy problems require long-term thinking. Those working in practice find their efforts frustrated by policy chopping and changing, and a lack of stability in the policy and funding environments. Services that prevent complex problems from escalating can be valuable, but proving the benefits and finding the right funding models is a challenge for voluntary organisations. Good policy intentions can get lost as they trickle down to the front line through different levels and policy is re-interpreted. An important part of the policy maker’s job is to understand these systems and create feedback loops with the front line. Customer insights and in-depth understanding of service users, including a direct role for them in design and delivery of services, can be used to great effect. Policy makers can build on this by incorporating the voices of users into policy design.